Dr. Mohamed Ibrahim, Minister of Antiquities said that the ministry will start a project for the restoration and conservation of 4 tombs in Elephantine Island. The tombs were found by the local people and the ministry managed to take control over them in the beginning of this week after successful attempt in cooperation with the Tourism and Antiquities Police and the people of Gharb Aswan Village. The minister referred to the measures had been implemented to secure the site of the discovered tombs to stop infiltration to the tombs. The minister also said that the needed fund will be available to excavate the site to discover more of the tombs. The initial preview tells that the tomb probably dated back to the New kingdom as a painted scene on the walls of one of the tombs for a man called "Weser" with Vine leaves images which related to the New Kingdom tombs. Ali El Asfr said "The most important one of the discovered tombs belong to one of the Elephantine nome rulers who was called "Weser" and held many titles including "The Prince of Elephantine" and "Overseer of the Land of the Gold". 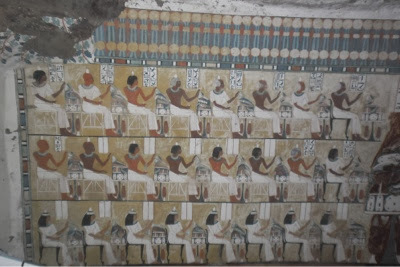 The tomb has bright colours and different scenes including a scene shows the tomb owner with his family in front of a n offering table supervised by the high priest wearing leopard skin with a group of the tomb owner's servants. 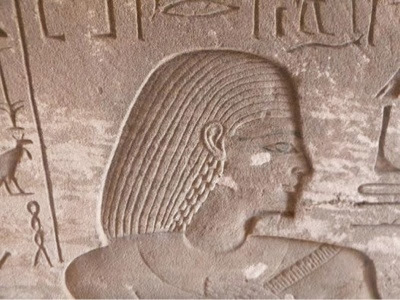 Nasr Salama, director of Aswan antiquities said "The second tomb belong to a person called "Banfer" who has a titles of "Prince" and "God's priests Overseer in Elephantine". The tomb has sunken reliefs show the tomb owner with his family. 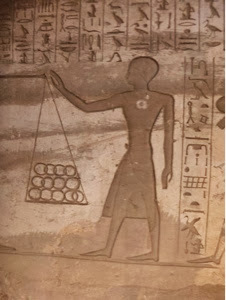 The third tomb is for "Amenhotep" who held the titles of "The Bearer of the Seal of Upper Egypt and Elephantine ruler". 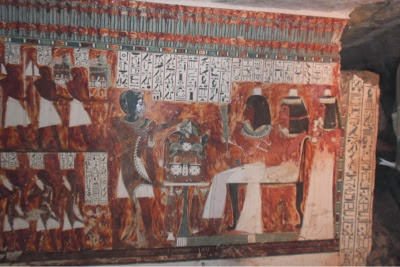 The fourth tomb belongs to a person called "Waser Waget" who held the title of "The Prince and Ruler of Elephantine"